I will be open on Saturday 9th June, Sunday 10th, Friday 15th, Saturday 16th and Sunday 17th June 2012 and also be open during the week 11th to 14th June by appointment. 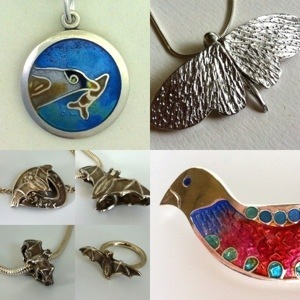 During Open Studios I will be demonstrating a variety of techniques during the day, starting at 11am – including making unique silver jewellery using art clay silver. 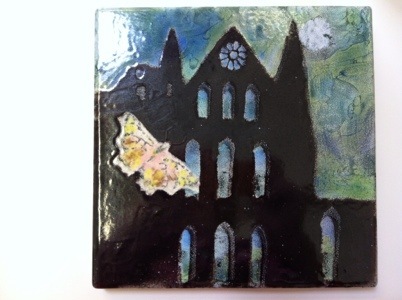 Here are to more of my enamelled panels of Whitby Abbey, one with a moth and the other without. 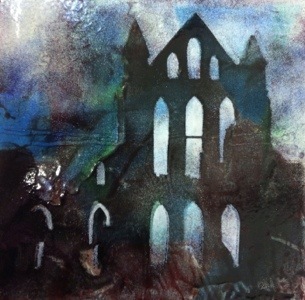 I have really enjoyed working on these and they are for sale here in my studio this weekend. There are plenty of other new things available too, from hand made lamp-work glass beads with silver cores to jewellery inspired by pressed flowers and flying things such as bats, moths and birds. 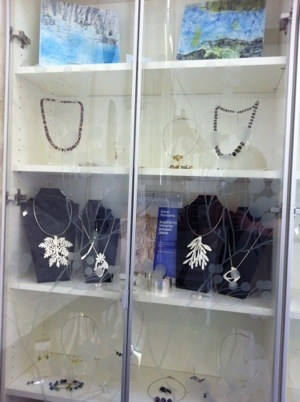 My cabinets are all set up and filled and the studio is looking lovely with all this work on display. I look forward to meeting lots of new people and hopefully some old friends too over the coming weekend.